Through regular artistic engagements and exhibitions in Australia, Asia and Europe, members of Sydney Printmakers have continued the creativity, innovation and professionalism of early members such as Margaret Preston, Earle Backen, John and Barbara Coburn, Frank Hinder, Eva Kubos and Elizabeth Rooney. A Poetry of Ideas, Art Space on the Concourse, Chatswood. View the A Poetry of Ideas page. In the Shade – Members Exhibition, Umbrella Studios, Townsville. Sydney Printmakers 2018 – Members Exhibition, Artsite Gallery, Camperdown. View selected artists’ work. Sydney Printmakers stand, Sydney Contemporary, Carriageworks, Redfern. Sydney Printmakers- Members Exhibition, Gallery 43, Riverina Institute of TAFE, Wagga Wagga, then hung at Wagga Wagga Rural Referral Hospital. Partners in Print, with InkMasters Cairns, Janet Clayton Gallery, Paddington for Spot 81. Partners in Print, KickArts Contemporary Arts, Cairns. Sydney Printmakers – Members Folio,on display during summer 2017, Printmaker Gallery, Melbourne. 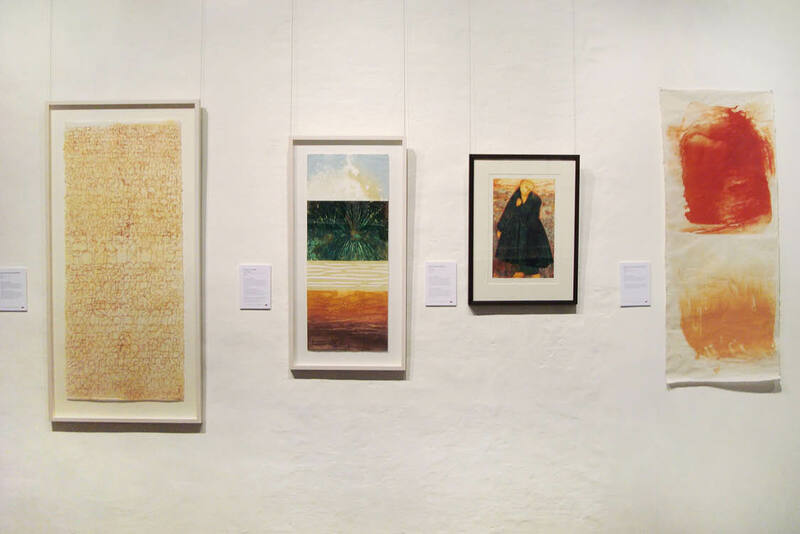 Sydney Printmakers – Members Exhibition, Art Vault, Mildura. Fun and Games, an exhibition of intaglio, relief prints and installations by some of Sydney’s most accomplished printmakers. Gallery Lane Cove, Lane Cove. Antipodes, an exchange exhibition with the Central Print Council of Aotearoa New Zealand,Summer School, UCOL, Whanganui, New Zealand. A portfolio of this work is in the collection of the National Gallery of Australia, Canberra. Urban Animals, Manly Regional Art Gallery, Manly, NSWM. The portfolio has been acquired by Manly Art Gallery. Antipodes, an exchange exhibition with the Central Print Council of Aotearoa New Zealand. Pine Street Creative Arts Centre, Chippendale, NSW. NorthArt Gallery, Auckland, New Zealand. On the Same Page a collaboration between artists from Sydney Printmakers and Hunter Island Press (Tasmania). See Street Gallery, Meadowbank, NSW. Henry Jones IXL Hotel, Hobart, Tasmania. Boundless and Borderless, an exchange between Open Studio, Canada, and Sydney Printmakers. Jinwen Art Centre, Jinwen University of Technology, Taiwan. National Pingtung University of Education, Taiwan. Providence University, Taiwan.Tainan National University of the Arts, Taiwan. 25 x 25 Contemporary Japanese and Australian Printmaking, Japan Foundation Gallery, Sydney. Boundless and Borderless, an exchange between Open Studio, Canada and Sydney Printmakers. Impact 8, Dundee, Scotland. Pine Street Creative Art Centre, Chippendale. Open Studio, Toronto, Canada. A portfolio of this work is in the collection of the Art Gallery of NSW. Sydney Printmakers Touring Exhibition, Maitland Regional Gallery, Maitland. Cowra Regional Art Gallery, Cowra, NSW Wagga Wagga Regional Art Gallery. Hot Off The Press, 50th Anniversary Exhibition. Manly Art Gallery, Manly. Sydney Printmakers Touring Exhibition, Moree Plains Regional Gallery, Moree. Sydney Printmakers, Atelier Skara, Norway. Hot Off The Press, Atelier Skara, celebrating 20 years of Atelier Skara, Norway. Group Exhibition, Max Taylor Gallery, Summer Hill. Urban Animals, a print exchange. Impressions on Paper Gallery, Canberra, ACT. Marianne Newman Gallery, Sydney. 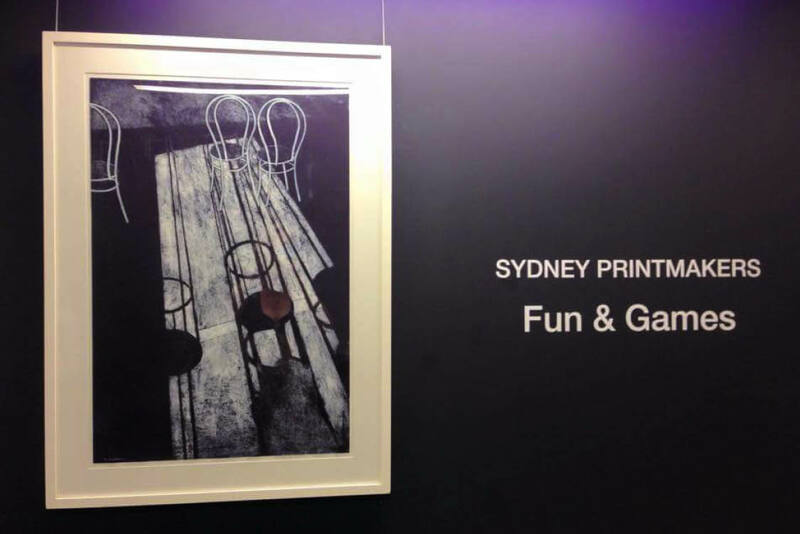 45 years, Sydney Printmakers S.H.Ervin Gallery, Sydney, NSW. Hawkesbury Regional Gallery. Collaboration, Gosford Regional Gallery, Gosford. Tweed Heads Regional Gallery, NSW. Noosa Regional Gallery, Queensland. Scratch, Pull, Grind and Scrape, Grafton Regional Gallery, Grafton. Scratch, Pull, Grind and Scrape, Mosman Gallery, Mosman. A portfolio associated with this exhibition is in the collection of the National Gallery of Australia. Beyond the Surface,UTS Gallery, Sydney. International Graphics, Atelier Skara, Norway. Signs and Secrets, Hastings Regional Gallery, Port Macquarie. Surface Tension, Hazelhurst Gallery, Gymea. Grabados, Museum of Contemporary Art, Chile. 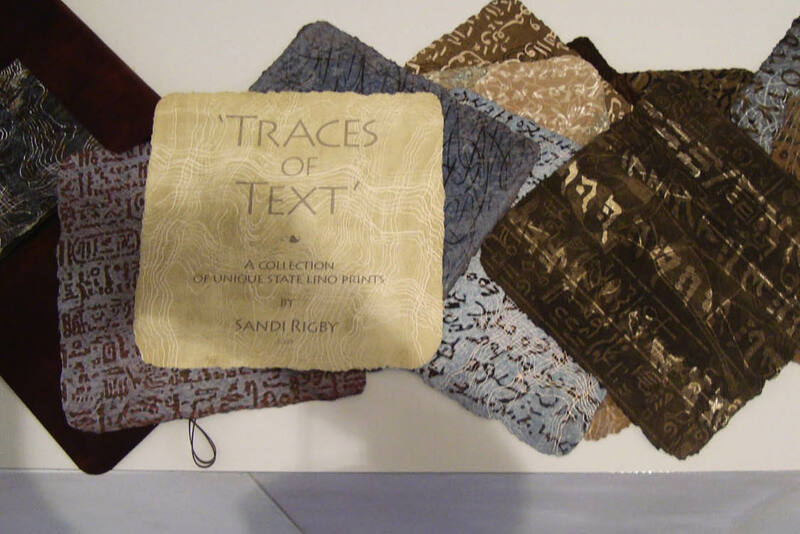 Text, 37th Annual Members Exhibition, Sir Herman Black Gallery, Sydney. Sydney Printmakers Travelling North, Lake Russell Gallery, Coffs Harbour. 36th Annual Members Exhibition, Rex Irwin Gallery, Sydney. Expose, Sir Herman Black Gallery, Sydney. Cultural Identities, Guiyang City Art Gallery, China. 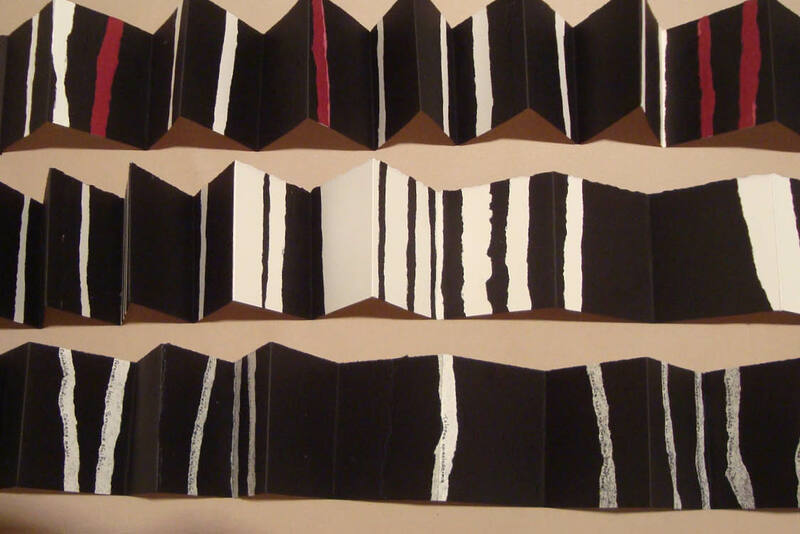 Borderlines, Ewart Gallery, Workshop Arts Centre, Willoughby. Sydney Printmakers, Burnie Regional Gallery, TAS. 35th Annual Members Exhibition, Rex Irwin Gallery, Sydney. Borderlines, Spiral Arm Gallery, Canberra, ACT. Cultural Identities, Blaxland Gallery, Sydney. Identity and the Environment, Sir Herman Black Gallery, Sydney.